If you're the type who only likes thin crust pizza, then the Charcoal Chicken flatbread pizza at Tipsy Gypsy the pick for you. Though the pizza does not look that big in size, it is definitely quite filling. 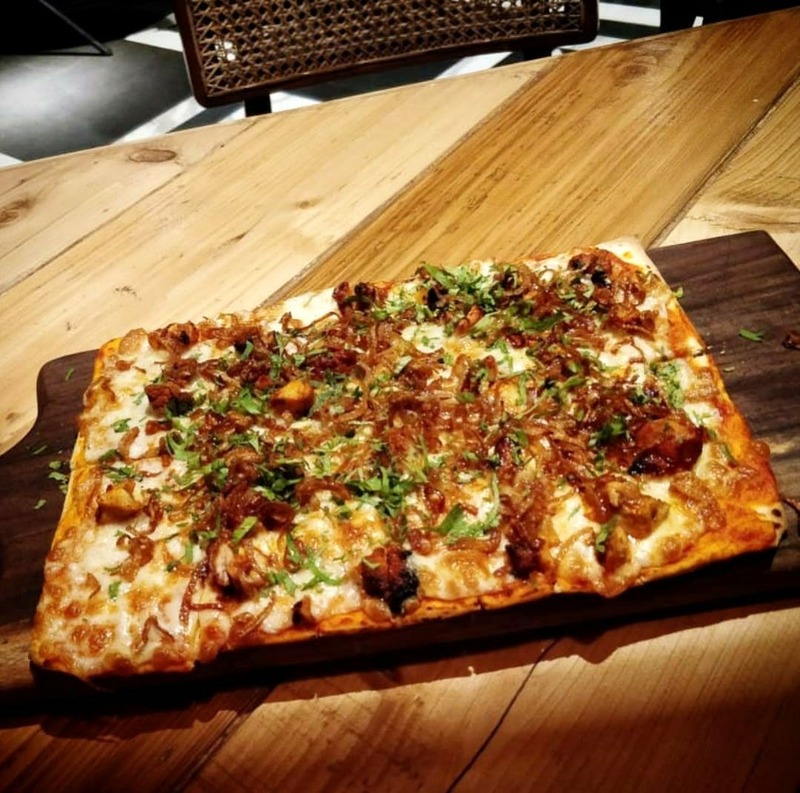 It comes loaded with juicy chunks of barbequed chicken, cheese, and caramelised onions, all packed on top of a crunchy flatbread crust. They also have vegetarian options to choose from such as paneer and cheese pizzas. Once you try the flatbread pizza at Tipsy Gypsy, you will surely come back for more.